What Would You Do For a Healthy Klondike Bar? 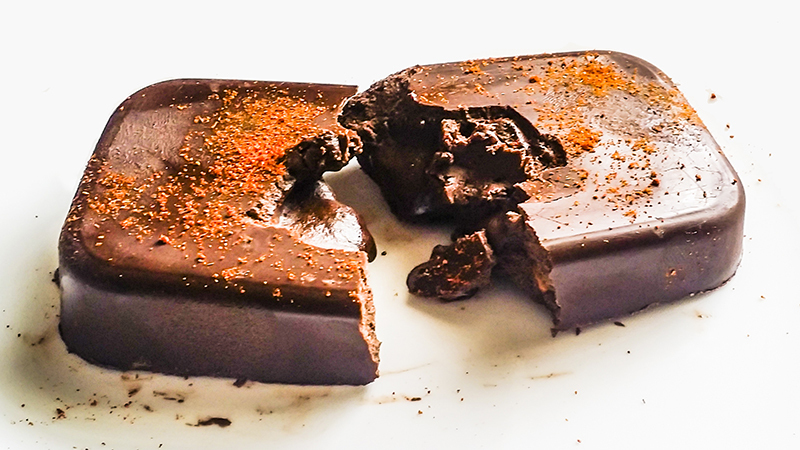 What would YOU do for a completely healthy, yet incredibly tasty chocolate bar? That’s JUST what I have for you today with this amazing recipe! This will CRUSH your cravings, you’ll never have to stop by the grocery store to pick up that little chocolate bar that sets you on the sugar roller coaster ever again! Plus, you’ll never get bored with it because you can do almost any variation on a chocolate bar and still remain healthy! Want a Mr. Goodbar? Add almonds! Want something spicy? Add cayenne pepper! Want something minty fresh? Add peppermint oil! Want a sweet and salty treat? Add Himalayan Sea Salt! Want a caramel gooey texture? Add honey! Go wild and stay on your meal plan! Your ULTIMATE solution to your sweet tooth dilemma! Remove from container and enjoy!